It was a wonderful exerience directing and producing "A Wound In Time". The cast did a great job and it was well received. While the play was running at Nuyorican I was cast in Julius Caesar Set in Africa by Rome Neal, who is the Theatre Director at Nuyorican. So right after my show closed I went into rehearsal for JC. It was my return to the stage after 21 years. It was fantastic! I accomplished lots in 2010 and in February completed a new play "Blood Makes The Red River Flow", inspired by The Louisiana Creoles I filmed and research for my documentary. It will have a staged reading May 1st. 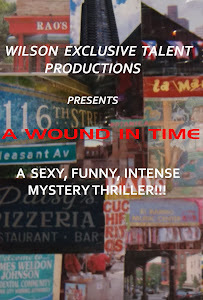 In 2011 I hope to remount "A Wound In Time", mount "Blood Makes The Red River Flow", and resume filmming my documentary.